Let’s walk through the main streets of Kyiv and see how they looked in 1985. 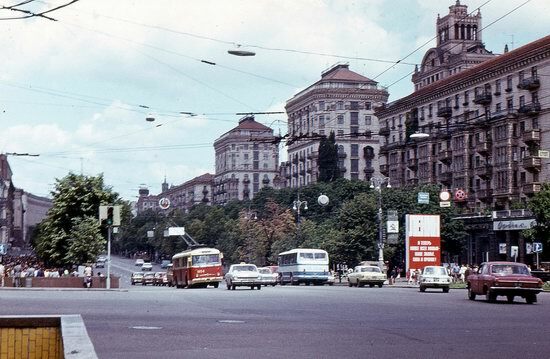 After the Second World War, Kyiv became the third largest city in the Soviet Union after Moscow and Leningrad, the capital of the second largest Soviet republic. The medieval fortress in Bilhorod-Dnistrovskyi looks especially picturesque from a bird’s eye view, when you can see the entire complex. The thickness of the walls varies from 1.5 to 5 meters, the height of the walls and towers – 5-15 meters. The basis of the fortress complex is the Citadel – the most fortified part of it. Akkerman Fortress on Google Maps. Photos by: Maxim Ritus. When it comes to Old Halych, the capital of Galicia, and later the Principality of Galicia-Volhynia, we mean not the present town of Halych, but the village of Krylos located southwest of it, in the Halych district of the Ivano-Frankivsk region. 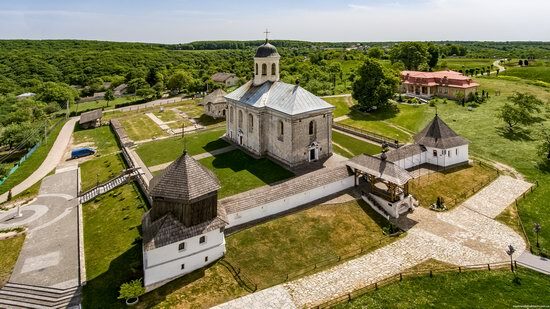 Most of the monuments of archeology, architecture and history of the old capital are found here, which together with the historical center of Halych and several other nearby historical places form the national reserve “Old Halych”. Krylos on Google Maps. Photos by: Maxim Ritus. Medzhybizh Fortress is located in the village of Medzhybizh in the upper reaches of the Southern Buh River, 30 km east of Khmelnitsky and 4 km north of the highway E50 (M12). 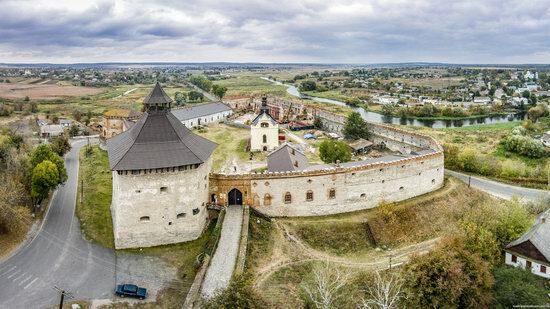 This monument of fortification architecture built in the Renaissance style in the middle of the 16th century is included in the State Register of the National Cultural Heritage of Ukraine. 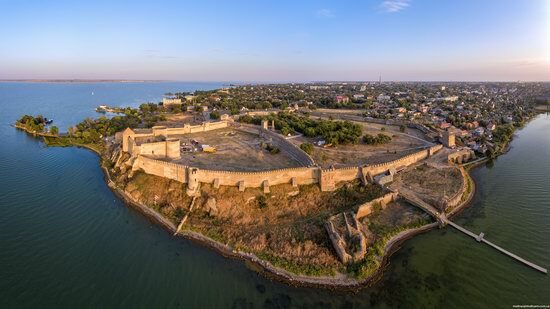 Medzhybizh Fortress on Google Maps. Photos by: Maxim Ritus. Pereyaslav-Khmelnytskyi is a town-museum with a population of about 30 thousand people located in the Kyiv region, 90 km southeast of Kyiv. 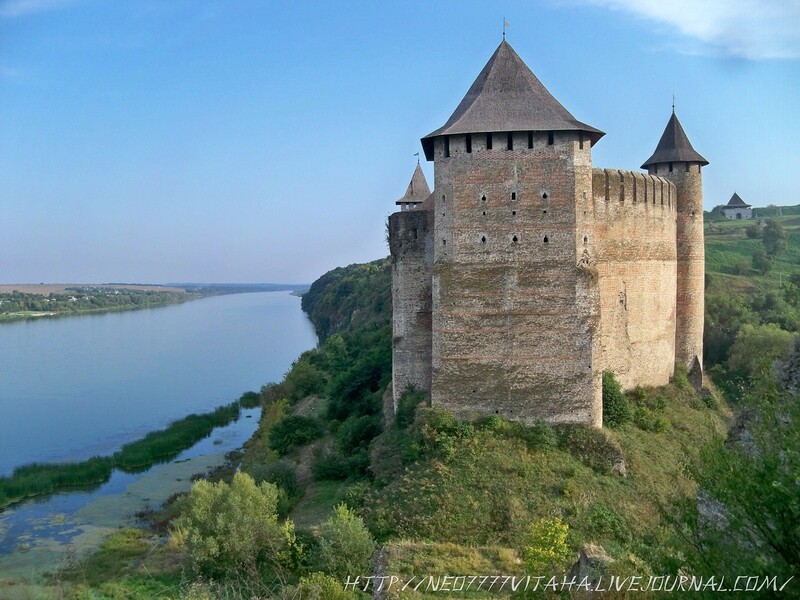 This is one of the oldest towns in Ukraine, first mentioned in 907. In total, there are 27 museums in Pereyaslav-Khmelnytskyi. 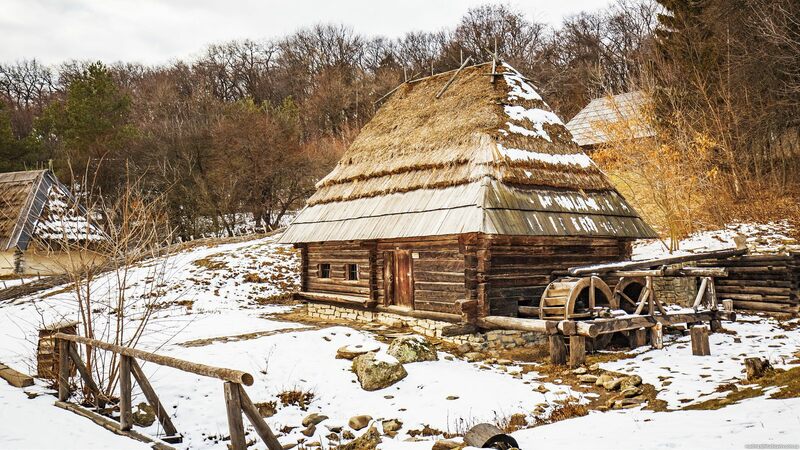 One of the most interesting ones is the Museum of Folk Architecture and Life of the Middle Dnieper. Photos by: Igor Golovach. The Palanok Castle, also known as Mukacheve Castle, is the main attraction of the town of Mukacheve located in the Zakarpattia region. The castle stands on a 68-meter-high hill of volcanic origin, the total area of the castle is 13,930 square meters. 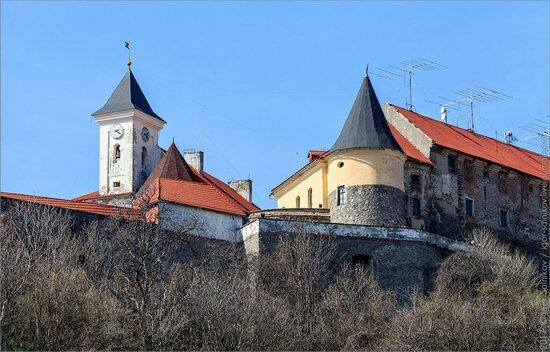 The exact date of the founding of the castle is unknown. For the first time it was mentioned in documents in the 11th century. The fortifications were built and rebuilt several times. The castle’s buildings that have survived to this day belong to the 14th-17th centuries. Today, there is a historical museum here. Photos by: Igor Salnikov. 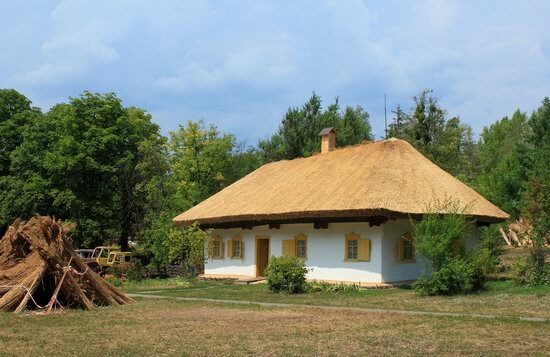 Pyrohiv (Pirogovo), an open-air museum located on the outskirts of Kyiv, provides a unique opportunity to get acquainted with all ethnographic regions of Ukraine. 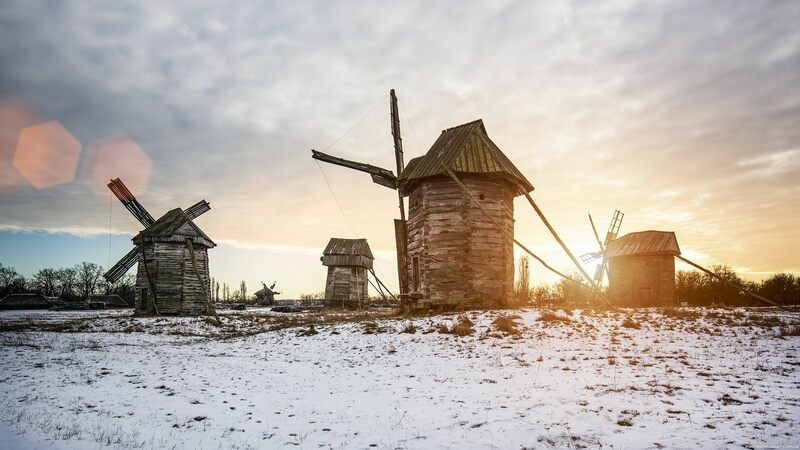 Old wooden windmills, towering on the hill, are the compositional center of the whole complex. Photos by: Maxim Ritus. The Museum of Folk Architecture and Life in Pyrohiv is an architectural and landscape complex of historical and ethnographic regions of Ukraine. It is located on the southern outskirts of Kyiv, in Goloseyevsky district, near the village of Pyrohiv. The total area of the museum is 133.5 hectares. Photos by: Maxim Ritus.